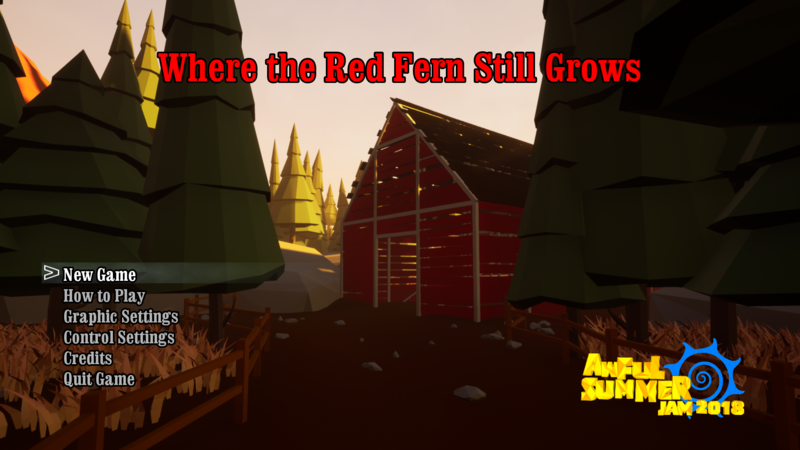 Where the Red Fern Still Grows is a homage to both the american children's novel by the same name, and naturally, Bloodborne. The story is from an era where any happy story for children always has to end with some kind of horrible event, such as the main character's beloved dogs being mauled to death by a lion, and thus ripe for an unnecessary sequel. This game is rather a master stroke in terms of tone - it seems to hit the exact spot it was aiming for - and is a well packaged game that you could easily while away an hour with replaying into the ng+ game modes. When I first played this game, I went into it not knowing what to expect. When I realised what was going on, I had a smile plastered to my face the whole time. I have played the snot out of the souls franchise, and this game felt right on the button - the little section with knee high water was almost too much! I want to call out the way you used sound, the environment and lighting specifically, the enemy designs with the blue/red eyes and, of course, the rag dolls - worth 100% of the effort you put into them. I saw the Maneater-esque double boss coming a mile off but loved it anyway. The control of the player character doesn't quite as slick as I would hope, but honestly it's really pretty great. I guess if wishes were horses, I would like to see maybe some backstabs or a heavy attack or stepping a little more full bore into bloodborne and get a transforming shovel, but, that might be trying to guild an already quite golden lily. I checked out the environment pack that you used, and I think it was a great choice, especially so because you worked with the look to add a little extra content that didn't clash. 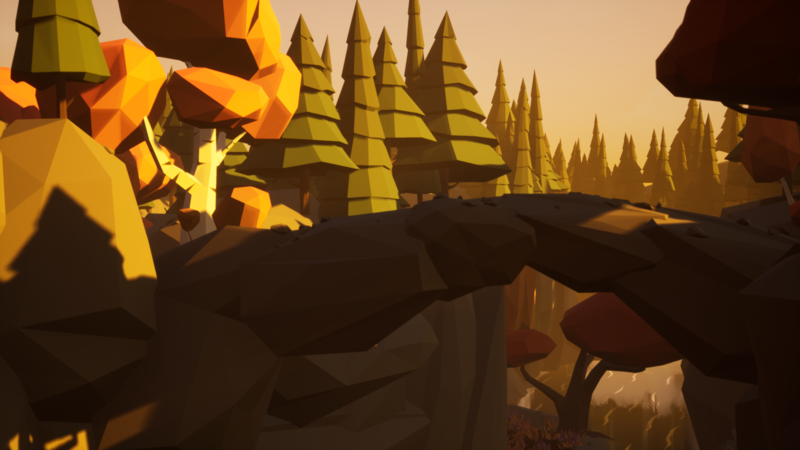 I can see that you just get little jigsaw bits to work with, and you did a fantastic job creating an environment that folded back on itself and let you see places you would go later, as well as created little areas that had a different look and feel to stop it from getting stale - right on the nose once again. I think you also really paid attention to your other source material, too, as this game oozes with theming - you're a bit unlucky in that I'm british and wholly unfamiliar with the book, but I mean, the raccoon enemies, seemingly the right kind of dogs, the fact that your weapon is a shovel? That you've had to resurrect them as zombies so they can be killed all over again? For someone unfamiliar with bloodborne, this game might initially be a bit confusing? You do have, on the main menu, a how to play (great menus by the way), but, unless I've missed it, it seems you can't select that once in game so... might wanna wrangle that in there? A few ingame glowing floor messages or a cutscene here or there might smooth everything over but, maybe that would kill the vibe - best to listen to those who weren't familiar. 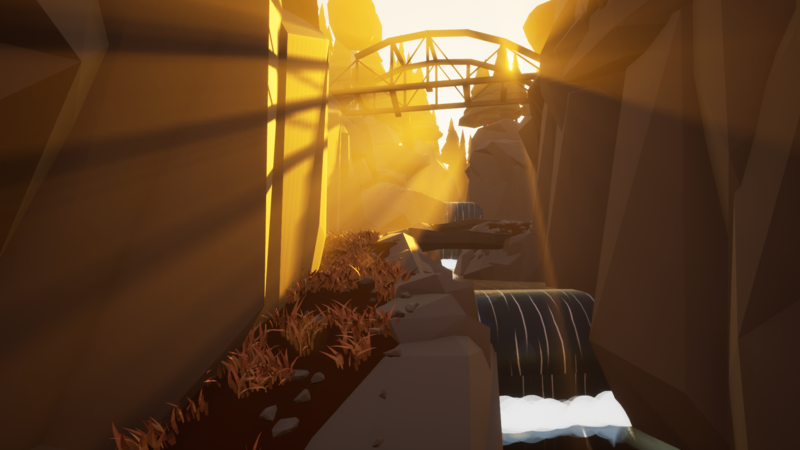 I usually try to pick things apart as best I can but honestly, your experience making games seems to shine through, and I think that this is definitely something you could put in your portfolio with a huge sense of pride. Billy left the family farm in the Ozarks years ago, leaving behind the graves of his two prize coonhounds, Old Dan and Little Ann, and the red fern that grows between them. But the animals are coming back from the dead, and Billy must return to honor his dogs and keep them at peace. But first he has to get through the undead raccoon horde that stand in his way. The game is a sequel to the book, Where the Red Fern Grows. The book tells the story of a young boy whose prize coonhounds die saving his life. What is more unnecessary than bringing the dogs back as the undead and the boy returning to put them back into the grave? Well the jam has unlocked the page and the new build is on the normal page. Come grab it, a lot has improved! What a gorgeous game. It's simple on its face but enhanced nicely with detail and the layout is impressive barring one section that feels more barren without enemies. The unskippable cutscene usually wouldn't register with me, but this game has New Game+ and so each time you go back in you have to wait for the game to let you play again which is a bummer. I really enjoyed the intro the first time, but after that I'm more interested in continuing the experience and so even though it's short it's still a hindrance. I enjoyed the small touches, that your stamina doesn't recharge unless you're on the ground, that your dodges are different depending on direction, the second enemy type isn't just bigger and a different colour, but also has its own unique details with the ribcage that help impress severity. For New Game+2 I did end up skipping every enemy and just beelining to the boss, while still getting the shortcuts just in case. There are tiny nitpicks like this that would make this even more enjoyable but they're easily acceptable for what the rest of the game brings. I would keep playing this for a few more runs if there weren't so many more games to play. Very well done. Thanks! I'm glad you had fun! The player model is out of place because it was made by me learning blender with only a couple days left in the jam, instead of by the character artist who made the SO much better raccoon and hound. The goal there was just to have something other than default unreal guy. Hopefully we'll be able to change him. It also bothers me I didn't get around to making the intro skippable, should be able to have that in the next build. I take back my previous comment about the shotgun that I made during the playtesting phase! Now I know you're meant to use it counter enemy attacks it became extremely powerful! It feels fantastic to land it :D. It probably could be better explained that this is in fact its purpose as otherwise I only really found by accident. But yeah I don't really have anything in the way of suggestions, I had a great time with it! Thanks! I'm glad you enjoyed it! It would be better to tutorialize some of the mechanics. The game does throw you in fairly blind. Amazing!! I did NOT expect to play a competent souls-like in a game jam! Awesome level design, classic souls-y level shortcuts. The enemies telegraphed their attacks well which is so important for a game like this. Using beer as an analogue for estus was funny and worked really well. "They saved my life but now I have to save their death", LOL. I love the voice acting. The story is a great idea. 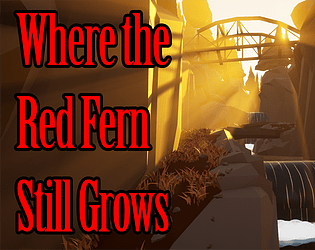 Where the Red Fern Still Grows, that is a truly unnecessary sequel! Very on theme! What is the shotgun good for? I noticed the ammo was limited, but the range seemed pretty small and it seemed to have a pretty decent recoil time. I used the shovel mostly. In that mini-boss area with the two elite racoons, I backed to the choke in the cave, and they decided to stop chasing me? They didn't run forward or backward, so I just pounded them until they died. Maybe a pathfinding thing? I think if they can't find the player, they should walk back to their "spawn area", maybe? Shrug, small thing. Awesome ambiance, loved the creek trickling and the sound of crows. The graphics in general were perfect, amazing job overall!! The shotgun does two things, one a bunch of damage, and two it acts as a parry mechanic. If you shoot an enemy during their attack windup, you'll cancel their attack and put them in a stun state during which attacks do some multiplier to their damage, I forget the exact amount off the top of my head. 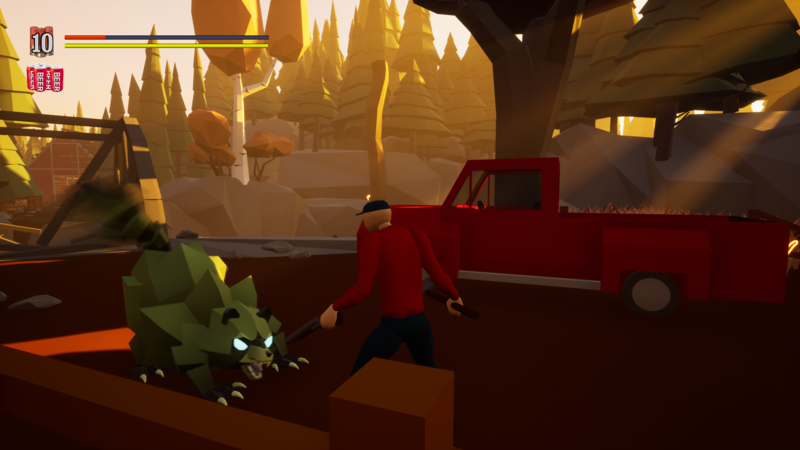 Shotgun parry then shovel is a one-two punch that will kill a regular raccoon. I'll look into the pathing issue, thanks for pointing it out. I'm doing a bit of clean up post jam, so maybe I'll be able to fix that. I want to improve the caves in general anyway. This is super solid. Great style, tight controls, and I dig the theme incorporation. I wish there was a tiny bit more enemy variation, but other than that, great job! I also spent too much time dumping raccoon carcasses into the river. I also love to knock raccoon carcasses into the river. 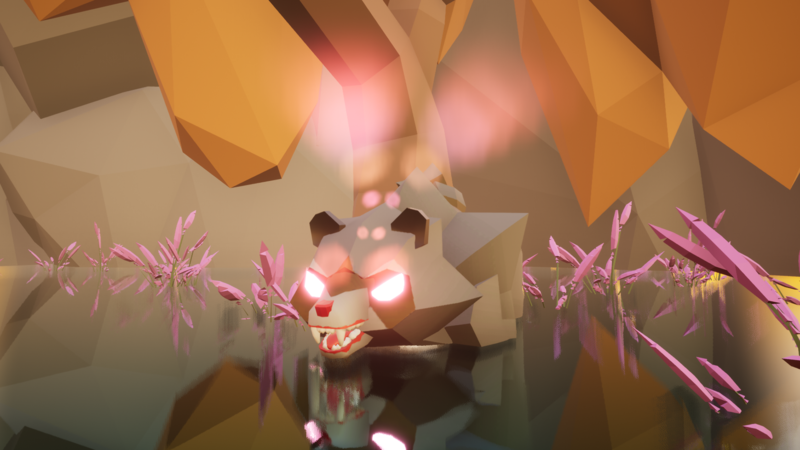 The physics interaction on corpses was a happy accident on the bosses, and then I incorporated it into the raccoons as well. The original plan was to have squirrels, deer, and mountain lions as well, but in the interest of my character artist's time, that was reduced to the raccoons and dogs. Some day we may return to this and make a whole menagerie. Thanks for playing, I'm glad you enjoyed it! The combat felt spot-on, and you nailed the difficulty for someone who has not played a Souls game before. The only issues I noticed was enemy pathing being broken on the logs, making it very easy to dispatch them, and there not being a volume control. Thanks, I'm glad you enjoyed it. As for pathing issues, was it on the shortcut logs or the ones down in the river? The ones down by the river. The two raccoon things spawn on the ledge after the first one and can't move onto the log. I could kill them without them being able to get in attack range. Those ones should be able to path to the player on the logs. I'll take a look, thanks! Super impressive effort here all around. Loved the environments, the cut scenes, and the models. Melee combat was well done and felt fair. My main feedback is that I was a little disappointed with the shotgun, as I had serious issues hitting what I thought I was aiming at. I started getting the hang of it towards the very end game, but definitely needs a reticule or something to show where it's going to hit. Other than that, great job! Thanks ghost bros! Were you using the targeting/lock on with enemies? If you lock on, your shotgun will hit your target. The default target control is Q on keyboard and pushing the right thumb stick on game pad, though you can remap those to whatever you find comfortable in the controls menu. When targeting you'll get a reticle around your target, as well as a health bar. Hope that helps, and thanks for playing! Ha ha, maybe I should throw in an in game tutorial... Well, thanks for giving it another go! Have fun!